Make your own birdcage veil! 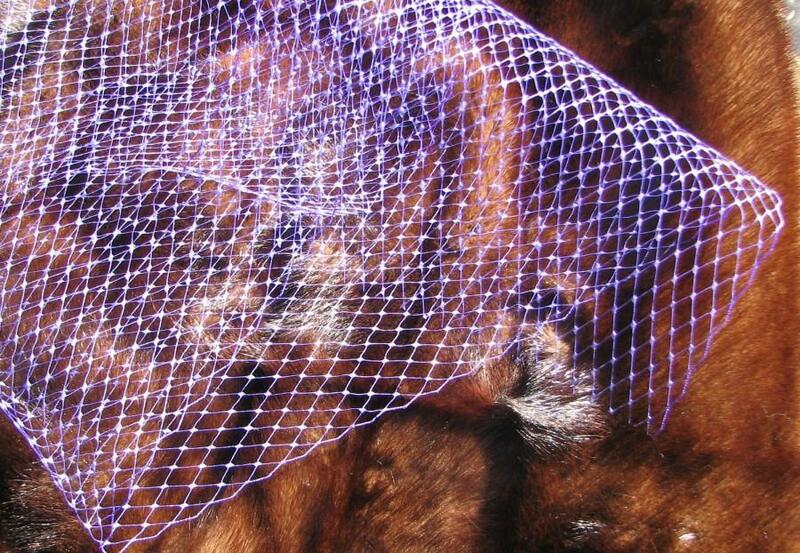 This is ONE YARD of 9" wide French netting, in deep purple, definitely not pastel, almost like Barney It has a finished edge along both sides of the length. This is the right width for making short to medium-length birdcage veils. Want to make your own birdcage veil, but can't find anywhere to buy shorter lengths of French netting or Russian netting with low shipping costs? Custom lengths and expedited shipping available. Convo for more information.